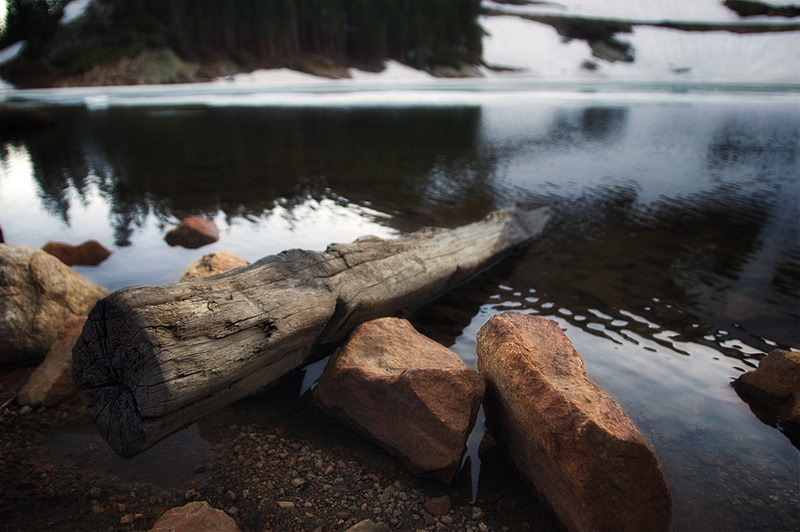 An old railway sleeper (tie) at Jenny Lake. I took the ATV for a spin up Rollins Pass this evening to shoot the high country, at about a mile from the top the snow was still piled in drifts of about 4ft deep, thinking my ATV can anywhere, I tried to push through it, needless to say the ATV was pretty stuck! Fortunately that day my wife insisted I get the winch replaced, and what a life saver it was to have the ATV pull its self out. i love the dof here, but i also like the way you caught the closer detail in a wide panorama, just as like a vertorama. bravo ! I like the new site, Will. You were one of the first photobloggers I followed when I started my photoblog (My Life in Focus) back in 2006. I’ve since redesigned my website, moved to SmugMug and have renamed my site, but I still enjoy keeping up with you and your work. Take care. Beau et bon travail, un vrai travail de professionnel !